Kareena Kapoor won filmfare award for Best debut in her film Refugee. She portrayed the role of Kaurwaki in the period drama Asoka. Kareena Kapoor played a bubbly girl in the film Kabhi Kushi Kabhi Gham which was a Huge success. 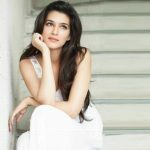 The box office success of Mujhe Kuch Kehnaa Hain and Kabhi Kushi Kabhi Gham established as leading actress in Hindi Cinema. Kareena Kapoor played the role of a young prostitute in the movie “Chameli” . Her performance in the movie “Dev” earned her filmfare award for best actress. 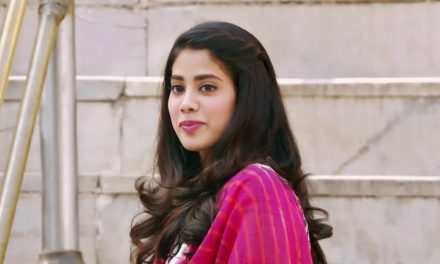 She essayed a negative role for the first time in Fida. She portrayed the character of Desmodemona in the movie “Omkara”. Her best performance till today is her portryal of a bubbly girl in the movie “Jab We Met”. She played a medical student in the movie “3 Idiots”. After a short break from the film industry as she conceived Taimur Ali Khan. Kareena Kapoor rebooted her career with the super hit “Veere Di Wedding”. For her role in the movie Heroine in 2012 she wore 180 + different dresses, one of which is worth 15 crores. Kareena Kapoor was cast as the ambitious and career-oriented Kia Bansal in the movie ‘Ki and Ka’ and was particularly drawn to the project for its relevance and novel concept. She played the role of Dr. Preet Sahni in Abhishek Chaubey’s critically acclaimed ‘Udta Punjab’, a crime drama that documents the substance abuse endemic in the Indian state of Punjab. She is of the 4th generation of Kapoor family, was born to a Sindhi mother, Babita and a Punjabi father, Randhir Kapoor. She drinks but doesn’t smoke. Very few people know that her birth name was “Siddhima“, given by her grandfather, Raj Kapoor. Her name “Kareena” was derived from the novel, Anna Karenina by Leo Tolstoy. Her father was very protective towards her and Karisma and wanted both to stay away from acting and get married, which led to conflicts with her father, after which both the sisters started living with their mother. She had a huge crush on actor, Akshaye Khanna in her teenage days. 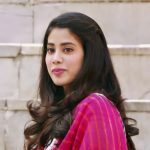 She was offered the supporting role, as a sister of Aishwarya Rai in the Indian-English version of Pride and Prejudice, which she turned down. In 2010, she adopted the Chanderi village (famous for its Chanderi saris) in Madhya Pradesh, to provide it with electricity. 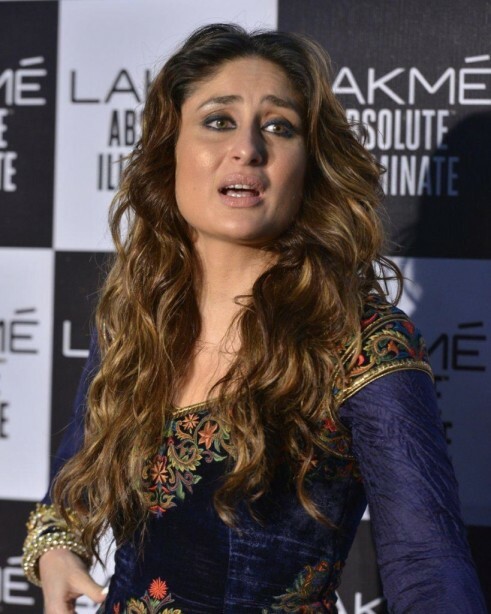 Kareena Kapoor refuses to act her age and downplayed the criticism in social media. During her five-year association with the retail chain Globus, She became the first Indian actress to launch her own line of clothing for women; she described the collaboration as being “special” and “reflective of my personal sense of style”. Her looks and performances have established her as a style icon for the youth. In 2009, she was voted as India’s most popular youth icon by Daily news and analysis. 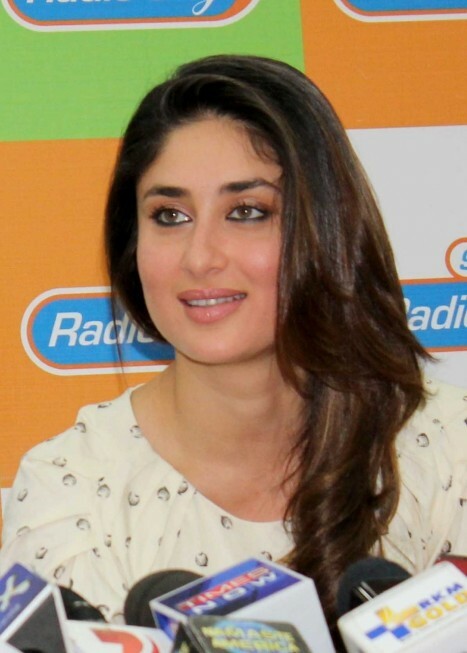 Kareena Kapoor is the only Indian to be feature in CNNGo’s list of ‘Who matters most in India’. She was selected by Varveas the ‘Most powerful women’ in the country during the period 2008-2013. 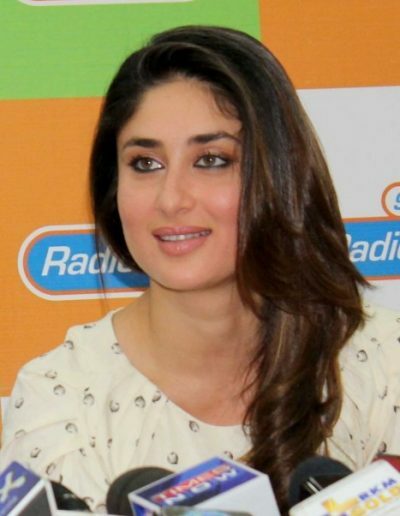 Kareena Kapoor was named as India’s most beautiful women in 2010 by People Magazine. Eastern Eye and Maxim named her as Asia’s Sexist Women” and “India’s Hottest Woman”in 2011 and 2012. She was selected by India Today as the list of country’s most influential women in 2012. Kareena Kapoor was featured in Forbes India’s “Celebrity 100” at Seventh position with an annual earning of 735 million. She has her Wax Statues “Madame Tussaud’s” of Singapore and England. In 2012, she released her memoir “The Style Diary Of a Bollywood Diva”. She has a reputation for being outspoken and assertive, and is recognised for her contributions to the film industry through her fashion style and film roles. Kareena Kapoor has started her own line of clothing and cosmetics for women, and has worked with UNICEF since 2014 to advocate the education of girls and increase quality based education in India. From 2012–18, She has featured on Forbes India’s “Celebrity 100,” a list based on the income and popularity of India’s celebrities, peaking at the seventh position in 2012 with an estimated annual earning of ₹735 million.